5" case with a snap belt loop closure. 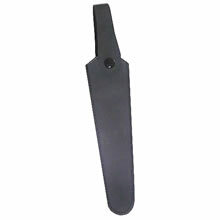 Will hold up to a 6-1/2" shear if using the shear case on your belt. If using the case without a belt the it will hold up to a 7" shear.